Amy Kelsey, or Miss Amy as we call her, started her career as a pre-school teacher at Sandhurst Co-op in 2009 in our pre-3’s class. Starting in the fall of 2015, she will also be at the helm of our Toddlers class. Amy was involved as a parent in the co-op system for seven years with her two daughters at Olympic Toddlers and University-Ravenna. She has also been a youth soccer coach here in NE Seattle. 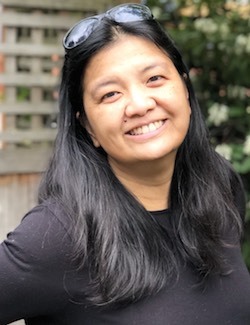 Vickie Lovina joins the Sandhurst Community as our 3-5’s teacher in September 2018. She comes to Sandhurst with a breadth of experience in early childhood education, a respect and enthusiasm for learning through play, and holds value in the importance of community as a key to developing strong children and families. 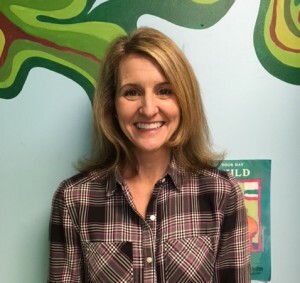 Please join us in extending a warm welcome to Teacher Vickie! I believe in play. It is the most important part of childhood and the primary way young children make sense of their world. My main job in the classroom is to help create a safe environment for children to explore and learn on their own, and I need to observe and listen closely to children so that the classroom can reflect and support their interests. Beyond the classroom, children need a community of people and space. I believe that the classroom and the community need to work together so children grow up to be curious about the world and everything in it, and to be kind to each other, to their neighbors, and to every living thing. I have taught for more than 15 years (with long breaks while having babies and dealing with immigration). I have a master’s degree in Family Life and Child Development from the University of the Philippines and co-founded a preschool in my home city of Manila. I also taught high school English (my first job out of college) and helped to start The Little Gym in the Philippines. I taught at four small preschool co-ops in New York from 2010 to 2014 and spent the first half of 2018 as an assistant teacher at Nurturing Knowledge School. My husband and I have lived up and down the eastern seaboard and are local to Boston, DC, Baltimore, New York and Miami. We moved to Seattle in the spring of 2017 from Miami with two kids, two cats, and a lot of books. I love to read, cook, and make things.